Opposite signs often attract one another in astrology. Let’s look at how this attraction works for Cancer and Capricorn. I’m going to consider this in terms of Sun signs, but the same principles apply to Moon signs, Mars signs and so on. Cancer and Capricorn – A Capricorn partner can help Cancer avoid wasting energy on emotional problems that have no solution. Capricorn gives the Cancer partner focus and shows him or her the value of consistent effort and practical thinking. Capricorn and Cancer – Cancer teaches the Capricorn partner that chaos can actually be lot of fun. Through Cancer, Capricorn learns that it’s sometimes better, and perhaps even more profitable, to follow your feelings instead of the rules. And now let’s look at the problems with this opposite relationship. 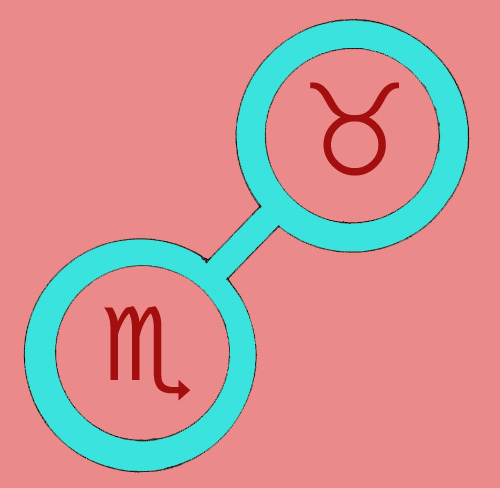 Cancer and Capricorn – Cancer will at times find Capricorn’s practicality and materialism boring. “You are so damned predictable,” Cancer says. Opposite signs often attract one another in astrology. 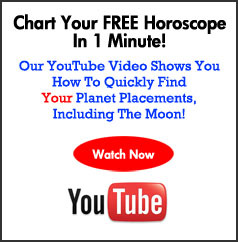 Let’s look at how this attraction works for Gemini and Sagittarius. I’m going to consider this in terms of Sun signs, but the same principles apply to Moon signs, Mars signs and so on. 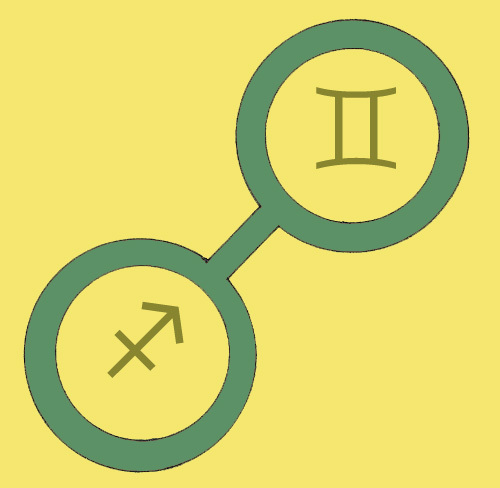 Gemini and Sagittarius – Gemini teaches the Sagittarius partner the advantages of detachment. Passion can be a great aid to communication but only if you can detach yourself from your passion enough to consider the point of view of the other person. 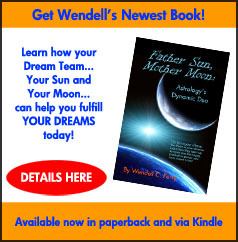 Sagittarius and Gemini – The Gemini partner teaches Sagittarius the joy of believing. Through Sagittarius, Gemini can learn to put aside analysis, to stop trying to be "oh so clever", and commit totally to an action or belief. Yes, you run the risk of being wrong but that's what life is all about. Gemini and Sagittarius – The Gemini partner will often find Sagittarius’ go-go attitude exhausting. “Can’t we stay home one night and just talk?” Gemini complains. Sagittarius and Gemini – The Sagittarius partner will soon grow tired Gemini’s tendency toward sarcasm and cynical work play, particularly when these snide remarks are aimed at Sagittarius. Opposite signs often attract one another in astrology. Let’s look at how this attraction works for Taurus and Scorpio. I’m going to consider this in terms of Sun signs, but the same principles apply to Moon signs, Mars signs and so on. Taurus and Scorpio – The Scorpio partner shows Taurus that real contentment runs deeper than the digits on one’s bank statement or the size of one’s TV. Taurus seeks to avoid pain and hardship but through Scorpio he or she can learn that these experiences have their place. If nothing else, they sharpen our enjoyment of the good times. Scorpio and Taurus –The Taurus partner draws Scorpio out of the closed-in world of emotions and helps him or her maintain contact with the fresh beauty of the real world. Taurus won’t let the Scorpio partner dwell on grudges, fears and obsessions and constantly brings him or her back to the joys of the senses. Taurus and Scorpio – The complex and nuanced world of Scorpio’s emotions will not appeal to Taurus’ taste for directness and simplicity. “Why can’t you just say what you really mean,” Taurus shouts. Scorpio and Taurus – Taurus’ penchant for seeing everything in physical, real life terms will exasperate Scorpio. “You’re missing the point,” Scorpio cries. Opposite signs often attract one another in astrology. Let’s look at how this attraction works for Aries and Libra. I’m going to consider this in terms of Sun signs, but the same principles apply to Moon signs, Mars signs and so on. Aries and Libra – The Aries “me first” attitude has a lot of rough edges and the advice of a Libra friend could be invaluable in civilizing this impulsive sign. Libra can show Aries that reaching out to other people is not a sign of weakness; it’s just another manifestation of strength. Libra and Aries – What Libra can learn from Aries is that they can’t please everyone, and that acting decisively and according to their convictions will gain them more and better friends in the long run than constant compromise. Aries and Libra – The Aries person will grow impatient with his or her Libra partner's tendency to alter decisions to suit this or that socal milieu. To Aries, Libra will seem to dither when action is required..
Libra and Aries – Libra will be upset at the tendency Aries has to act unilaterally and wait for the rest of the world to catch up. 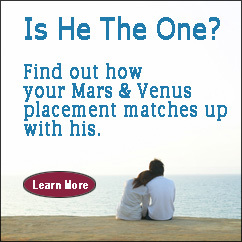 Even when the Libra with Aries agrees, he or she will want to be consulted. Next time we'll look at the attraction of Taurus to Scorpio.